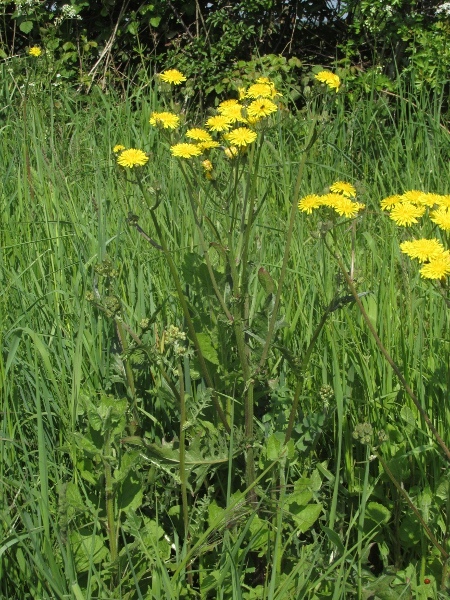 Crepis vesicaria is a common roadside weed in the southern half of the British Isles. 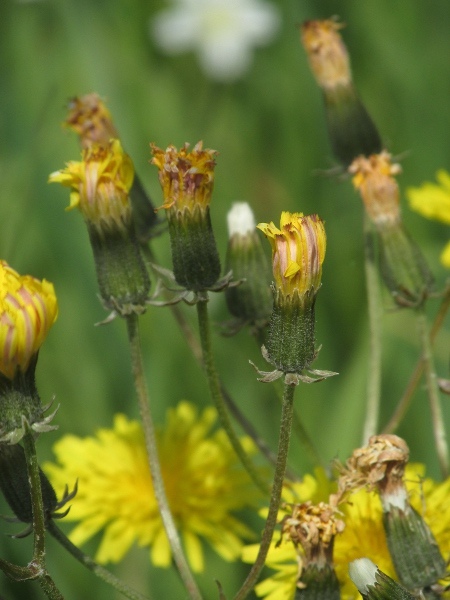 The stems of Crepis vesicaria lack the bristles seen in Crepis setosa. The achenes are variable, but typically have a long beak.